Mee Mee's Foldable Infant to Toddler Toothbrush is carefully made to the highest safety standards. When most or all of the milk teeth are in, your child is ready to try their first real toothbrush with toothpaste. 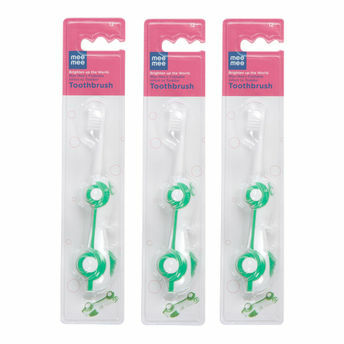 The rounded bristle-ends are soft and gentle to your child's gums. The handle provides a firm grip making it easy to hold.